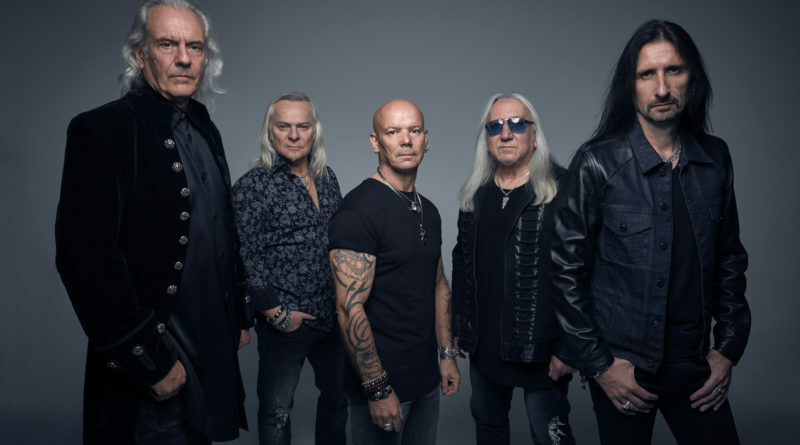 Uriah Heep, one of the few remaining original progressive hard rock bands still in existence, recently began an extensive North American Tour in advance of their forthcoming studio album, “Living The Dream.” The trek will include a stop at Hoyt Sherman Place in Des Moines on March 14. 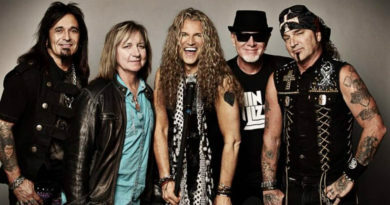 Guitarist and founder Mick Box has once again teamed with long-time bandmates Phil Lanzon (keyboards, vocals) and Bernie Shaw (vocals); as well as Russell Gilbrook (drums, vocals) and Davey Rimmer (bass) to bring Uriah Heep back into the spotlight with the new tour and album, the band’s 25th of its career. ListenIowa caught up with Box for a brief email interview to discuss the band’s place in the prog rock pantheon, the evolution of the music industry, and the secret to longevity. Uriah Heep has had an incredibly long run, nearing five decades now. There are very few acts in any genre with that many years under their collective belts that can say they are still a viable entity. What sets Uriah Heep apart from the others? We have been lucky enough over the years to have a number of songs that have stood the test of time that people still like to hear in the live arena. Couple that with a reputation for being a good live band and the fact that we have the same passion and energy for our music that we have always had. What have been the keys to this longevity? It is always the same answer — good songs. 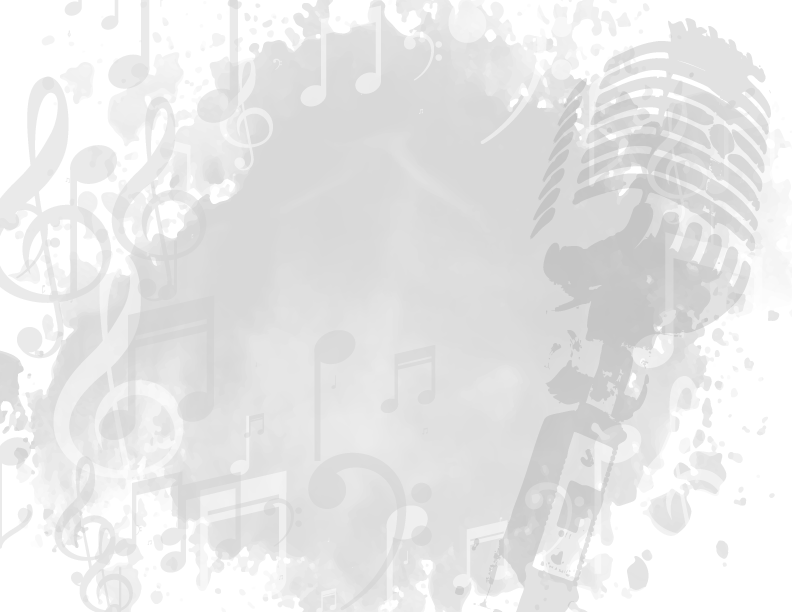 From any genre of music, it is always the songs that are remembered. All major iconic rock bands have had one thing in common in their respective careers: their willingness to hit the road and tour to build a base. Uriah Heep is no different. You just began an extensive North American tour. How things are going thus far? We have started in Ottawa with sell out shows and it looks like there is a buzz about the band seeping through to the rest of the tour. Ticket sales are more than healthy, and the band is on fire. Our set list begins with a song from our first album “Very ‘Eavy, Very Umble,” right to the last one called ‘Outsider.’ It is a musical journey through our career. Uriah Heep is known as one of the institutions in progressive rock, alongside Yes, Deep Purple, Jethro Tull, etc. Prog rock means a lot of things to a lot of people, but Heep is certainly one of the “Mount Rushmores” in the genre. What’s more important: the longevity the band has had, or its legacy as one of the founders of the genre? We were part of the big four — Uriah Heep, Black Sabbath, Deep Purple and Led Zeppelin. Our early albums had our collective toes firmly in prog rock, and we are seen as one of the pioneers of that genre. When you listen to “Salisbury” “Demons & Wizards” and “Magicians Birthday,” you can see why. We steered away from the 3-minute song and let the music dictate where it should go, hence the longer, more adventurous tracks. If a song said what it needs to say in 3 minutes, then that is fine, but some of our music needed to stretch out. Often times with progressive rock, there’s a sort of “us against the world” mentality, because it’ a genre that hasn’t exactly been embraced by radio, at least in the last 30 years. Was that the type of feeling in the early days of the band and others of the like? It has always been difficult to get our music on to radio in the early days but later on when things started to happen it became a little easier. However, it is the music of the people and they vote by buying your album and concert tickets. Fans know their have been considerable changes in the music industry over the years, but from an insider’s perspective, what have you experienced, and how you’ve adapted to them? So much has changed over the years with technology and how we make the music and how it is now listened to by the fans. With the advent of Spotify and the like, royalties for the band have become pretty non-existent, so touring is the only way you can get any income. The downside of that is that the touring marketplace is saturated. You are only as good as your last show, and that is a thought that the collective Heep take on stage with them every night. By the time you have come off the stage, it is all over Facebook and other media sites, before we are even back in the dressing room getting changed. 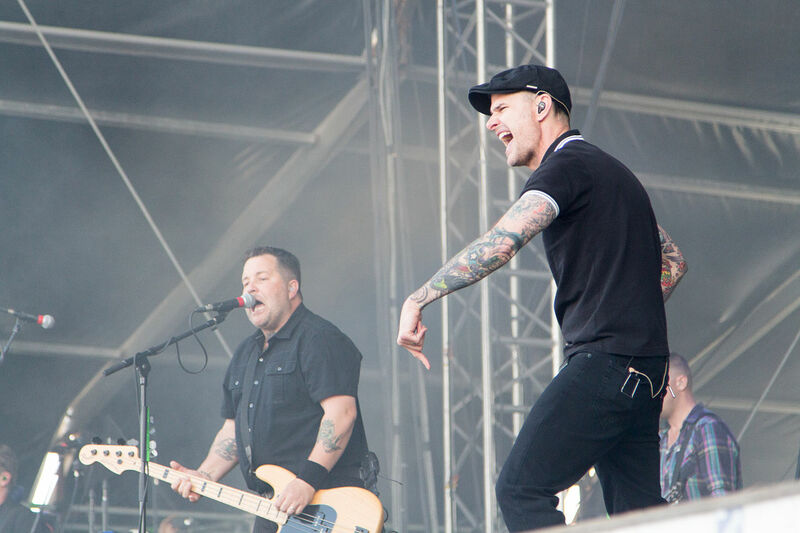 We have the same passion and energy that we have always had for our music, and the fans that come to our shows relate to that and see it first hand, and on those sites that post the songs of that night. Has it been a struggle to come to terms with any of these changes? You can moan about it, but the honest truth is you have to embrace it, find your niche and make it work for you. Today, things are immediate, and you are at the mercy of the accept or reject button in every home or iPhone. Knowing that sure does keep you on your toes. “Demons & Wizards,” “The Magician’s Birthday” and “Sweet Freedom” are considered to be three classic Uriah Heep albums. What were the early- to mid-1970s like for the band? “D&W” took us on to the world stage, and we ended up flying everywhere in Lear Jets, we had Limousines everywhere, whole floors of hotels booked out and bodyguards. The whole nine yards. It was a mad old time indeed, and one I am happy to have survived. Any particular tracks you are proud of? There have been too many to mention, but once we had finished “D&W” we knew we had something special and incorporating an exclusive Roger Dean cover really made it the total package. I am afraid not. The shuffle that Lee Kerslake (former drummer) plays is pretty exclusive to him, and no other drummer really nails it properly. What are you thoughts on the Rock & Roll Hall of Fame. How important is that to you to be inducted one day? Or is it? If we are nominated that would be just great, but if we are not, I will not lose any sleep over it. How long do you think Uriah Heep can sustain itself as a touring entity? Or better yet, how can much longer would YOU like to tour? If we have our health, there is no stopping on the horizon. We love what we do so why stop? This is in our DNA. You’ve got a couple of dates in Iowa. What can we expect at these Uriah Heep circa 2018 shows? We will take you through a musical journey of Heep from the first album to the last album, “Outsider.” We will play all of the classics as well as some other older tracks, and some from ‘Outsider.” It is a rock show not to be missed, so come and see our passion and energy and rock out with us big time. Tickets for the Des Moines, Iowa performance are available at Hoyt Sherman Place Box Office, Charge by phone (800) 745-3000 and online at www.ticketmaster.com.